16.24mm x 24.38mm / 0.639in. x 0.96in. Crucifix Charm by Rembrandt Charms. The height is 1 inch. 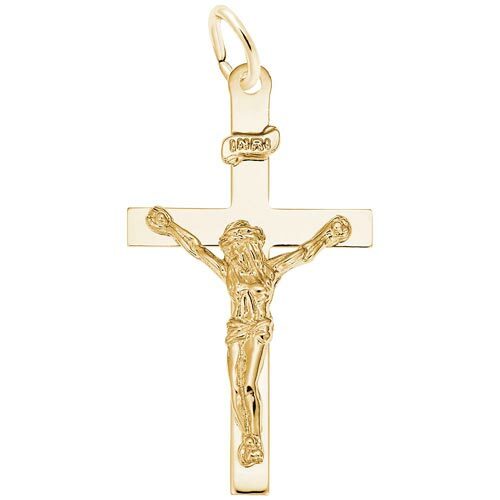 Showcase your religion with this elegant Crucifix Charm. A perfect gift for the Easter season and a great way to keep your faith with you all year long.